I have always loved and owned cats and fell under the “spell” of the Bengal after having two as pets, and ever since, this stunning and intelligent breed has become a huge and ever increasing part of our lives. After winding down a very busy career as a Director of Nursing and Registered Nurse for almost four decades I decided to devote that additional time to my love of, and passion for, this extraordinary breed. Catwalk Bengals is the outcome of all that additional time, and with a great deal of research, love and hard work, we pride ourselves on the beautiful, happy, confident and healthy Bengals that we are privileged to watch come in to the world here on “the mountain” and the joy they bring to their new families. Additionally, Catwalk Kittens’ families always remain part of our extended family, and the wonderful relationships, friendships and ongoing correspondence we have with them is indeed a truly very special aspect of the wonderful world of breeding these beautiful cats. Our breeding program is focused on enhancing the fabulous spotted/rosetted coats and the gentle temperament of this beautiful cat with the leopard look. We specialise in beautiful browns, stunning silvers and the very rare and extraordinarily beautiful Blue Bengals. Life is good with our precious Bengals and their Kittens at our Black Mountain Home. 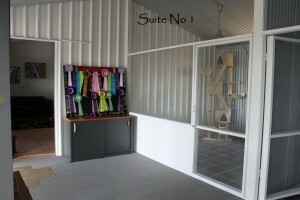 Below is a glimpse of our in-home cattery located on two and a half acres in the Sunshine Coast hinterland, just 20 minutes from Noosa. 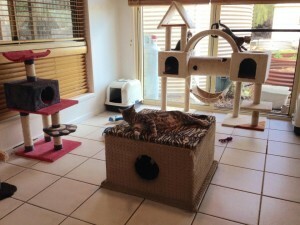 A fabulous new purpose built cattery is currently under construction at our back door with our Beautiful Bengals hopefully moving in around the end of April. I will post photos on completion, however in the meantime you can watch progress on our Catwalk Bengals Facebook page. 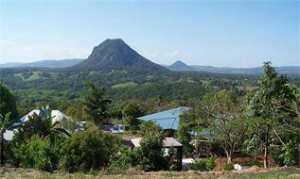 We love and welcome visitors, please give us a call to arrange a time.